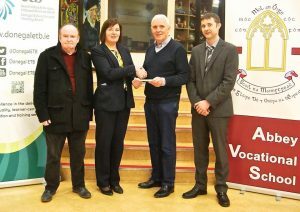 Our Abbey Vocational School Principal Geraldine Diver is pictured accepting a very generous donation of €20,000 from Liam Kelly CEO and Joe Gillespie, Chairman Board of Directors of the Donegal Town Credit Union. 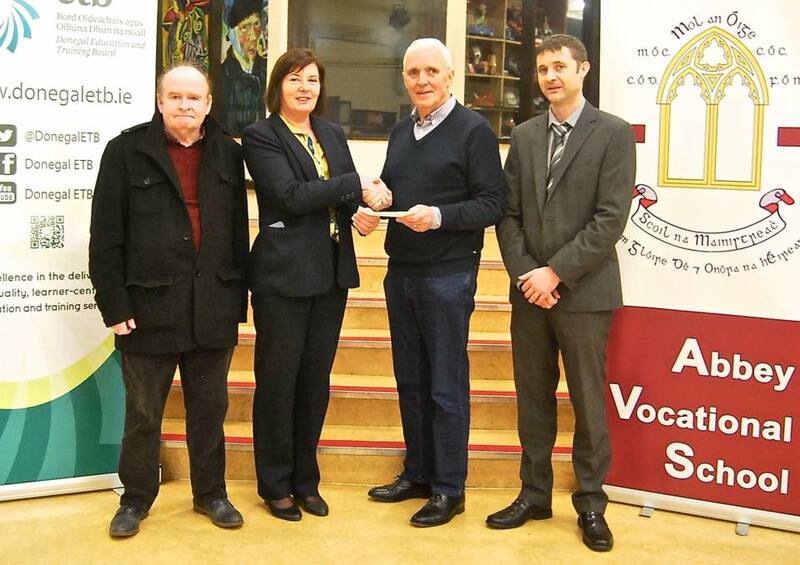 These funds will be used for the development of the school pitch. Huge thanks to the Credit Union for this extremely generous contribution. This entry was posted in Abbey VS. Bookmark the permalink.